ABS-CBN teen star Ylona Garcia on personal growth and self-discovery: "Teenagers, they have to get lost. They have to go through the worst thing to be able to pick themselves up and really like find themselves." Ylona Garcia, who turned 17 last February 28, is looking forward to her debut in 2020. It is not exactly the idea of turning 18 that excites her, but the thought of having a big celebration. On Day 1 of Bench Fashion Week Spring/Summer 2019 last March 29, in Bonifacio Global City, she had a chat with PEP.ph (Philippine Entertainment Portal) about growing up. "I'm just excited to have that big party thing 'cause I love parties. "I love being able to see the joy in people's faces. "You know, they'll be lookin' at me like, 'Oh yeah! That's Y-G! She's 18!' And that rhymes, yeah!" In Sydney, Australia, where she spent her childhood, the coming of age is 21. And since she has been living in Manila for almost five years now, Ylona is happy to go with flow. She explained, "It's tradition in the Philippines to have that debut so... I'm living in the Philippines, so you know, why not? "So I'm just gonna have the debut, I'm gonna have a huge party... Invite as much people as I can, and just have fun." When asked about the details, the former Pinoy Big Brother teen housemate said her lips are sealed. "I've started planning, actually. I wanna keep it a secret pa, but I'll tell you really soon." One thing is for sure, her parents, Peter Garcia and Caridad Navalle-Garcia, will be flying in. Ylona told PEP.ph, "I'm making them come. There's no way that I'm like not gonna let anybody out of my family not come my like 18th [birthday]. Like, 'No, you have to!'" The more important thing to do however is finding her purpose in life and in her career. At this point, she wants to grow as an artist and be more focused as a person. She said, "I'm gonna be super busy, just doing my thing, focusing more on what I want to showcase as an artist, what I think will best represent me for who I am. "It's kinda hard because I'm still at this age of 17. I'm still kinda trying to figure out who I am, really. "'Who is Ylona Garcia?' You know that? That is the big question." Ylona continued, "Discovering yourself, I think that just goes on for the rest of your life. "I mean, I'm not just focused on finding out who am I as a person, what I like and what I don't like, because I know that, I know who I am. "But I mean, just growing more as an artist, and personally like who you are as a person. "For me, I already have like a solid ground on that, like a solid foundation on who I know I am. "I think my main focus is just to be mentally, physically, and emotionally aligned. "For me, I'm a believer in God, and I wanna make sure that God is always in my center. "So that's my main focus." 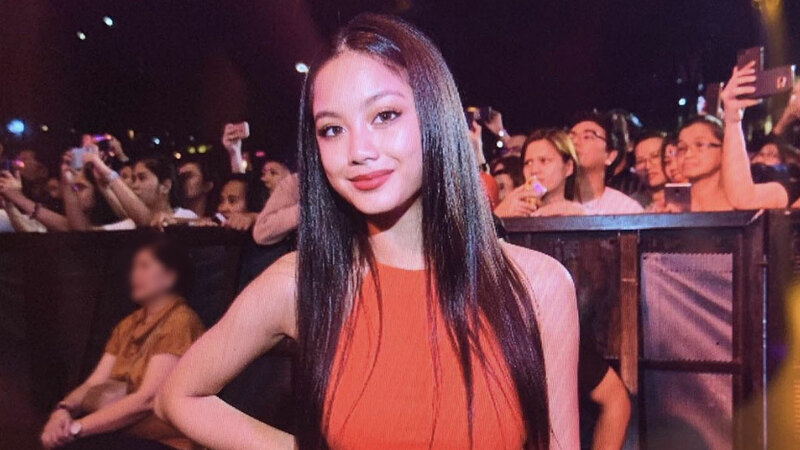 Ylona started her showbiz career in 2015 after finishing as first runner-up in the reality show Pinoy Big Brother: 737. She went on to become a mainstay of the Kapamilya network's Sunday variety program ASAP. So far, she has done two drama series, On the Wings of Love (2015), with lead stars James Reid and Nadine Lustre, and Sana Dalawa ang Puso (2018), with Jodi Sta. Maria and Robin Padilla. This year, Ylona said she wants to concentrate on singing. "In my career, right now, I'm just focusing on music first. "Last year, I did a TV show with friends and idols, Robin Padilla... I did Sana Dalawa Ang Puso. "That took almost a year of my life, so right now, I just really wanna focus on music, my first love." Ylona is currently signed under Star Records, the music recording arm of ABS-CBN. She has released four singles since she joined showbiz. 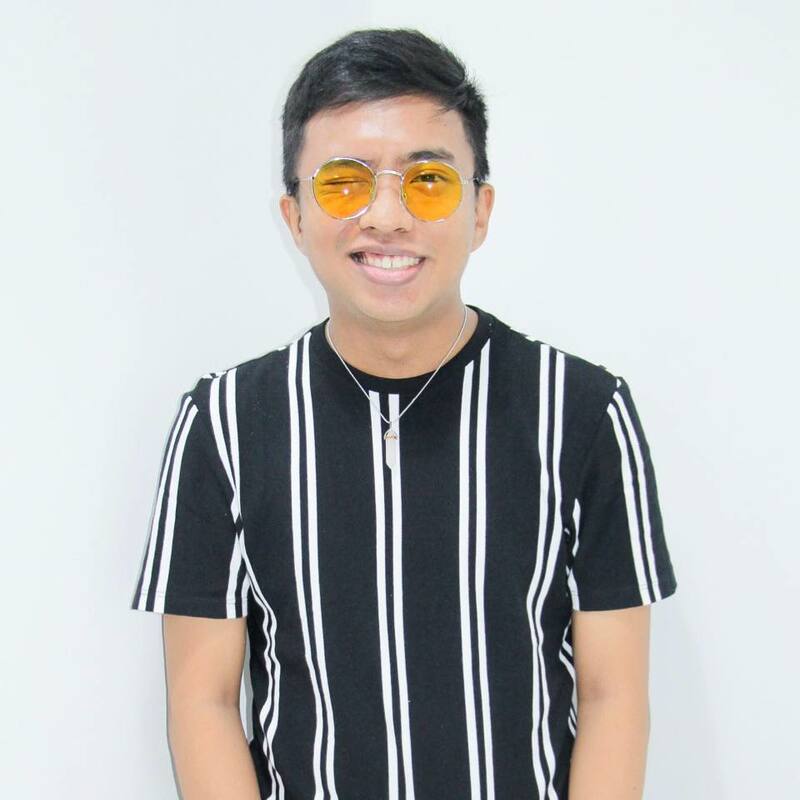 The 17-year-old singer wrote and produced the song "Win The Fight" with fellow Pinoy Big Brother 737 teen housemate Jimboy Martin, who emerged as the winner of that season, while they were on the show. Ylona and fellow teen housemate Bailey May also did a cover of Sam Milby and Say Lonzo's "Magmahal Muli." In 2016, the BaiLona (moniker of Ylona and Bailey) released another song titled "O Pag-ibig" as part of the Himig Handog: P-Pop Love Songs. Their tandem ended in July 2108, when Bailey left the country and joined the global pop group Now United. That same year, she released her debut album titled My Name is Ylona Garcia. Her singles "Dahan Dahan Dahan Lang" and "Fly Tonight" made it to the top 10 of MYX Hit Chart. Before coming to Manila, Ylona joined several singing competitions in Australia. In 2014, her performance of Zedd and Ariana Grande's song "Break Free" at the Filipino Fiesta in Sydney went viral on social media. Although Ylona already has an idea of what she wants to do and hopes to achieve, Ylona admitted to having days when she got sidetracked. She told PEP.ph, "I had my days when I lost focus." In June 2018, she was rushed to the hospital due to stress, which was caused by social media hate. On Twitter, she detailed, "Wishing and praying we could all be spreading love more than hate on social media, because people that get bashed/disrespected on social media can only stay strong for so long and can be so close to breaking down. As much as I'd like to keep things private, I want everyone to be aware of their mental health. "Woke up this morning scrolling through social media to see such distasteful and unnecessary words being shared. I have to be honest, it really stressed me out and I spent hours trying to find ways to make sure everyone would be happy and okay, to the fact where I forgot to take care of myself. To the point where I ended up in the hospital. "I'm sharing this with you now to create awareness. #PleaseSpreadLove." But that's part of being in showbiz and growing up. The singer remarked, "Teenagers, they have to get lost. They have to go through the worst thing to be able to pick themselves up and really like find themselves. "There's like this saying where somebody breaks you, and you have to be the one to pick up your pieces, you have to be the one to get yourself our of that hole and pull youself together, you know. "To find out who you are and really love yourself, for you."